Right now I’m revelling in different readings of historical periods. Normally I do this with my historian’s hat on and the different views are the different interpretation s of vast amounts of data and close and careful reading of sources by historians. Today, that’s not what’s happening at all. I borrowed the TV series Victoria from the library and have watched just one episode. When I finish my writing, I’ll watch some more. It’s addictive. I’m seeing early Victorian England from the view of the TV series and also from the view of the actors. Jenna Coleman’s accent isn’t even close to Victorian (I want to haul out my late Victorian dictionary of how to pronounce English to check, but really, it’s too late both the date of the dictionary and the time of night) but it does show us the way she feels Victorian English should be presented. She used the same accent when she was a governess in an episode of Doctor Who. It’s mostly her everyday accent, but not quite. Victorian England then, is like us but not quite to those who take their feel for the period from popular television. The choice of actors gives us a view of the period and place that is quite different to the actual period and place. I took a break to check this one out, too, for everyone looked wrong. Lord Melbourne and Rufus Sewell both don’t ring true. I was trying to think of why and it strikes me that Sewell doesn’t look like the person whose physical presence was so great that he dominated Victoria’s life for several years. Sewel has plenty of presence, so it isn’t lack of presence that’s the problem. It’s more that his body language in a crowd works quite differently to the body language from contemporary caricatures of important people. That is to say, when he is surrounded by other politicians, he doesn’t use his body language like the politicians of that time. We have some knowledge of their body language (although I’m very rusty on it) because there were publications that mock it. These aren’t right history or wrong history, good history or bad history, but they are different ways of seeing and presenting history. This is very much with me today. Modern work is important to the way we think about the past. Thanks to Regency novelists (not English novelists of the late Georgian period, but modern novelists who use Regency settings) I’ve a picture of Lady Caroline Lamb that focusses on the exotic and the daring and the Byron side. I always have to stop and remember that she was involved in the political side of things through her husband, who, after her death, loomed large in the life of Queen Victoria. She was a lot more than Byron’s failed affair and the centre of gossip. She was a mover and a shaker in her own right. There often a lot more to history than we see on television. When I say this to a class, I often hand round a cup to make my point. Let me give you a photo of it. 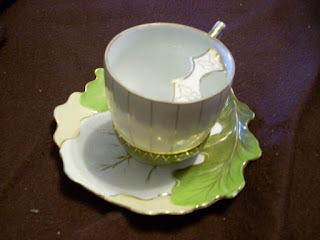 I have yet to see a moustache cup as part of a TV series. Given I’m adding more ways of seeing historical figures to my mental collection tonight, I need to add one for this woman. The one that needs to be added is the most important. It has nothing to do with society and everything to do with society. It’s the way I would enter into her life if I were writing a novel about her. I wouldn’t start with her husband or her lover or her public arguments or the shocking things that some people liked to explain about her: I’d start with her fiction. There’s a detective novel in Caro’s life. It consists of finding out who she actually was as a person. She’s left popular history littered with evidence and false leads. This is why we write about her a lot. And Victoria. And Lord Melbourne. Different views for different moods and different moments. This to me, is an evanescent form of history, resting on popular versions of stories of famous people. 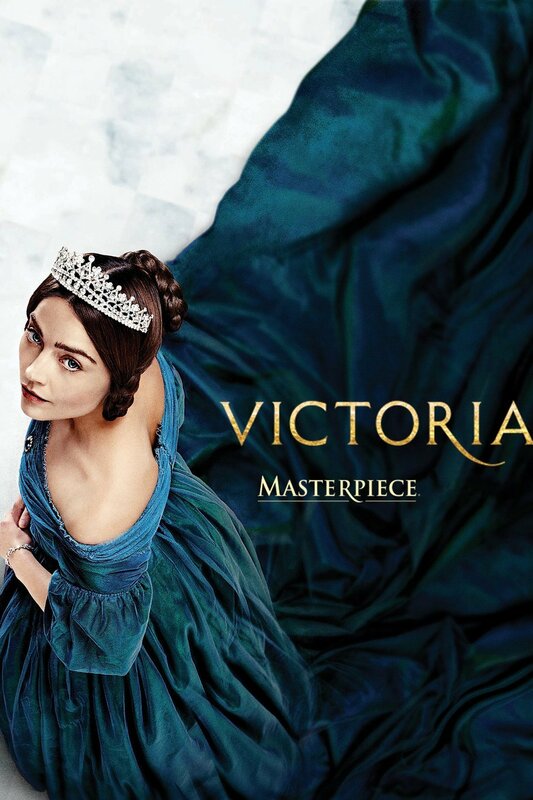 It’s a lot of fun, and, as long as we know we’re living in a temporary interpretation, we can take Jenna Coleman’s voice as true for Victoria and admire how Lord Melbourne has got over the loss of his novelist wife and become … whatever the writers and actors make him become in Victoria’s life. Impermanent truths, full of charm and emotional understanding. This is how we read and how we watch. We immerse ourselves in a story and follow it. I love this. I love the way I can follow and yet not trust. I love pulling it to pieces and finding out where all the components come from and what other stories are told with them elsewhere. 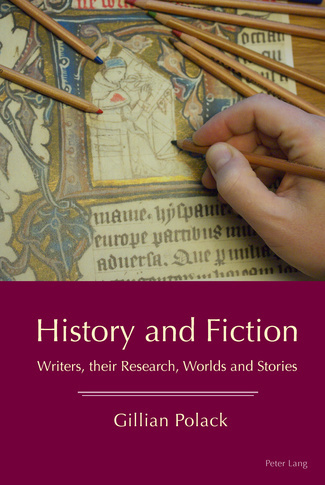 It’s more related to historiography (the study of how history is written) than to history proper. It’s understanding how complex our knowledge of the past can be, through seeing how people interpret history from as many angles as we can. Why am I thinking along these lines? There is a reason. I have a conference paper to work on and masterclasses to prepare for the Historical Novel Society of Australasia’s biennial event. I’ll report on the weekend itself next month. This month, though, I’m living the dream. I’m trying to see how many ways of envisaging history I can fit into my mind at once and what makes them come alive for me. Fitting everything in and understanding them is what I do while wearing my historian hat. Making them come alive for me myself is step one in making them come alive for other people and that’s for my teaching and, of course, for my own fiction. And now, if you’ll excuse me, it’s time to return to the young Queen Victoria. I hadn't realised Lady Caroline Lamb was a bestselling novelist. I suppose we can find it somewhere on Project Gutenberg by now. Actually, when I saw the word "Caro" in the heading, I thought it might be a mention of Jane Caro, who has written two YA novels about Elizabeth I, Just A Girl and Just A Queen. She also is not well known for her fiction. :-) Have you read them? I've read one of them - and I know Jane. Australia is such a small place! It was fun to write. I wrote it a while ago, because I knew I'd be very busy around now and it's odd to see myself talking about the past in the present.